Designed and developed to withstand the high stress demands placed on today's performance steering systems. ◊ Keeps steering system cooler. ◊ Protects internal parts and seals. 1. 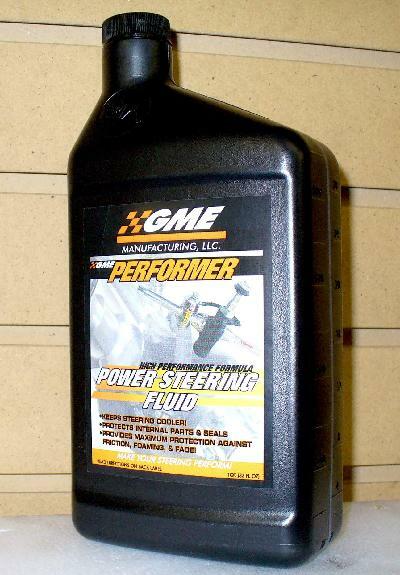 Use the proper power steering fluid (GME Performer). 2. Keep your power steering fluid at the proper level . a. Regular reservoir- keep approx. 3" from top of cap. b. Adjustable reservoir -follow label on reservoir. 4. Vent your reservoir cap. Call GME Mfg. if you have any questions. For all types of racing...Sprint Car, Dirt Modified, Midget Racing. Call GME Nields Steerings.